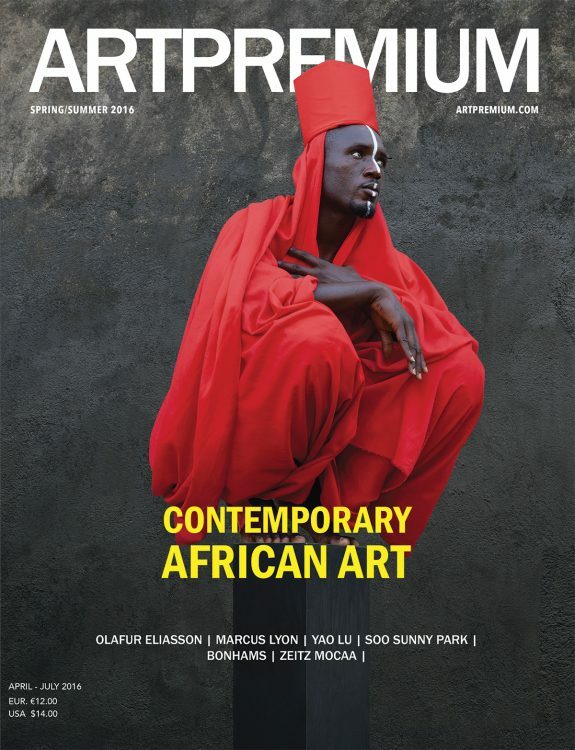 From hinterland to the next epicentre of art, fashion and innovation, West Chelsea, running from Ninth Avenue to the Hudson River and from West 14th to West 30th Streets in Manhattan, welcomes another upcoming gallery initiative in this charming and vibrant 21st century neighbourhood. On the construction site of what will soon be a set of 15 new art galleries surrounding Zaha Hadid’s 520 West 28th Street condominium residences, Related Companies has unveiled two exciting graffiti-art installations surfacing along the existing corrugated metal walls and gates. Passers-by can enjoy the work by Jonathan Cohen a.k.a. Meres One, the founder of 5Pointz, and another graffiti artist, See TF in the anticipation of what is to come. Related Companies, the most prominent privately-owned real estate developer in the United States, announced the collection of new gallery spaces in early March 2017. 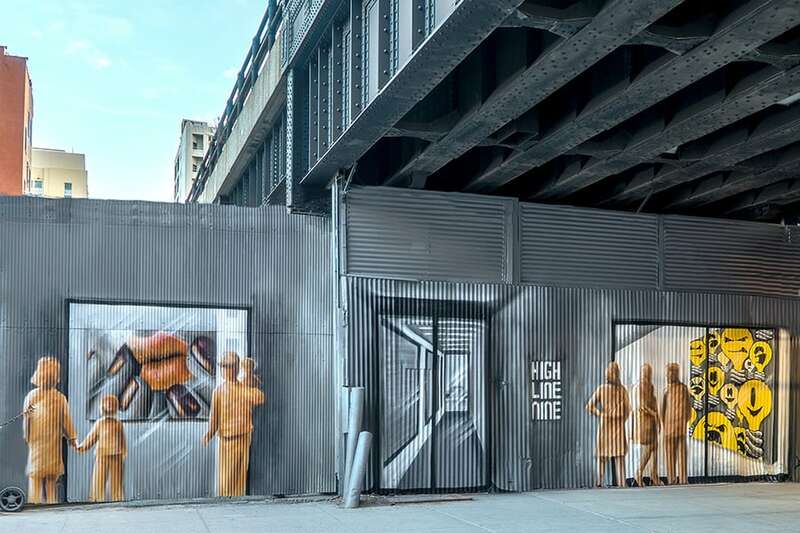 This hybrid gallery-eatery space, High Line Nine will encompass nine of such galleries located under the High Line and will include a cafe and a wine bar. Related has taken the European galleria concept to a collection of nine full service and highly amenitized boutique exhibition spaces, ranging from 650 sf to 1,800 sf. Art patrons and visitors to West Chelsea will have a new must-see destination and unique gallery experience. The acclaimed Paul Kasmin Gallery, founded in SoHo and now occupying three locations in West Chelsea, will anchor the collection with a 5,000 sf gallery and an additional exhibition space in the High Line Nine. “West Chelsea has long been known as an important arts district,” affirmed Greg Gushee, Executive VIce President of Related Companies, “and we are pleased to partner with two distinguished artists to create vibrant temporary murals on both West 27th Street and West 28th Street. The energy and vitality of the area make it an ideal location for these pieces and they are sure to be a draw as we develop a new collection of gallery spaces on this site adjacent to Zaha Hadid’s sculptural building at 520 West 28th Street, which is itself a monumental piece of art.” Meres One and See TF, both veterans of the New York contemporary graffiti art scene, recreate the facades as a realistic trompe l’oeil, portraying artistic visuals of the upcoming gallery spaces, being observed by onlookers through realistic painted windows. The works are installed temporarily until the walls and gates are required to be removed to facilitate the completion of the construction. This graffiti art initiative celebrates wonderful diversity of the West Chelsea gallery district; it is a gesture of partnership between real estate developers and street artists.